Here's why this transit of the 'Shadow Planet' is important! The nine planets, as per the ancient & sacred science of Vedic Astrology, play the ultimate role of giving us rewards or punishments for our past Karmas depending upon the type of Karmic structure that springs out from our Karmic Baggage at any given time. Of all the nine planets that are said to have their extremely complicated yet clearly powerful influence on us, planet Rahu truly stands apart. And interestingly, Rahu is not even physical in nature just like its partner Ketu. But, today we are going to talk about Rahu's Transit form the sign of Cancer to Gemini and its effects on all 12 Moon Signs during the Transit. 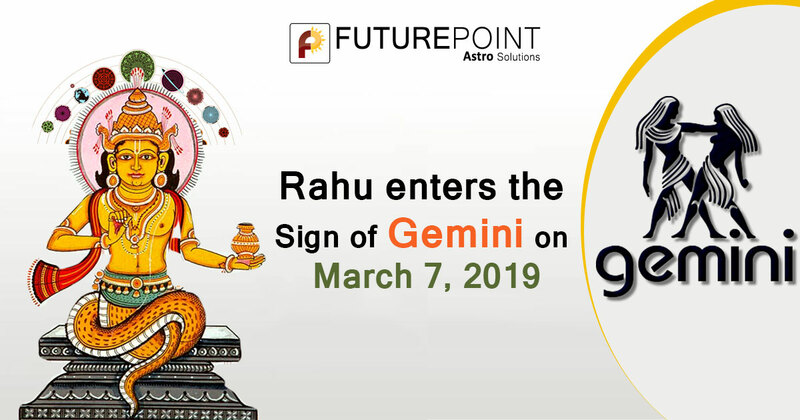 Rahu will be transiting through the sign of Gemini from 7th March, 2019 to 23rd September 2020. Rahu is famously called 'North Node of the Moon' and 'Dragon's Head'. Since Rahu is not physical in nature, it is referred as a 'Shadow Planet'. However this does not mean that its effects are not strong, on the contrary because of non-physical characteristics, its presence is felt even more strongly and more often than not, quite deadly. 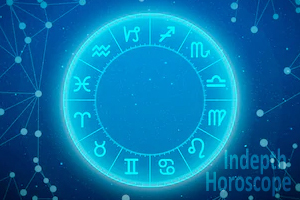 But Rahu is not same for everyone as its effects depend upon its placement in the horoscope of an individual, the conjunctions that it is having and the aspects that it is casting on other planets/houses in the horoscope. Having said that, when it comes to the transitory movement of Rahu, one can see a very strong change in his/her life. This is because Shadow Planets (especially Rahu) are particularly very strong in their transit results than their results as per their natal position in the fundamental/birth horoscope of a native. The thing that makes this transit of Rahu so important and special, is the fact that Rahu is moving from a sign that represents the Water element (Cancer) to a sign that represents the Air element (Gemini). Whenever such transition of Rahu happened in the past, certain drastic global events always took place and brought turbulence in the lives of world population at large in one way of the other. However, since Rahu is highly or in fact totally unpredictable, so its exact effects always remain a terrain to explore. But, one thing is always certain with Rahu, that its results are always 'sudden' in nature. So let us look at the results of this Transit of Rahu to Gemini for people of all 12 Moon Signs and what remedial measures can they adopt to remove the negative effects of Rahu during this time. To know how will Rahu-Ketu influence the major areas of life in detail, Avail the Rahu-Ketu Transit Report 2019 now! Rahu will be transiting to the 3rd house. Here, Rahu will bring a significant increase in the courage & valour of the native. Rahu will surprise on the positive side as far as the communication skills of the native are concerned. Rahu will bless the native with gain from communication, especially to those who are in the field of journalism, creative writing, publishing etc. Rahu will promote beneficial short distance travels during this period of transit, so people who are into the fields of sales & marketing are likely to get good sales numbers during this period. Rahu will favour a harmonious relationship with younger siblings. Rahu will make the native attain victory over enemies as well. Rahu will be transiting to the 2nd house. Here, Rahu is likely to do harm to the accumulated money and bring turbulence in family relations. One must be cautious about making any fresh investments during this period. Rahu will negatively impact the eyes and ears of the native, hence necessary caution must be taken. Students who are studying commerce or accounting, must work extra hard. Arguments that may potentially lead towards bitterness in relations must be avoided at all cost. Drink water from a copper vessel and put a copper coin in a river or a water body as and when you come across one. Keep water and suitable grains for birds at a place where they flock. Rahu will be transiting to the 1st house. Here, Rahu will impact the overall personality of a native in a negative way. The native may suffer from problems of the nervous system. People suffering from migraine need to take special care and any unusual experience as far as their head or neck are concerned must not be ignored and immediate medical consultation should be sought. Rahu in the 1st house might worsen an existing cervical condition. The native might experience a damage to his/her reputation in the society by baseless claims aimed at maligning the image of the native. Put some sugar beneath a banyan tree for ants. Donate money or articles of use to a Cow Shelter. 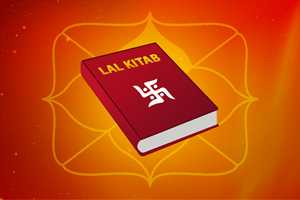 Buy Rahu Yantra and safeguard yourself against Rahu Transit 2019. Rahu will be transiting to the 12th house. Here, Rahu can bring serious unexpected expenditures resulting in depletion of accumulated money. The native may suffer from an ailment that requires hospitalization so, special care of health should be taken and a timely full body check up is recommended to apprehend any lurking ailment before it takes a worse form. One should be careful of hidden enemies that plan to harm the native behind his/her back. Rahu in this house makes any ongoing legal disputes, worse. However, for those in politics, films, media etc. will see a sudden spurt in their career. One should have control over his/her speech during this period. The native should drive with proper precaution during this period. Donate black lentils to needy people on Saturdays. Rahu will be transiting to the 11th house. Here, Rahu will bring very good results. People in business will have significant gains. Those who want to visit a foreign land can try during the period. If one wants to start a business of import & export, then this will a great time to start such a business. Those who are already into the business of import & export, will witness huge gains from that business. In fact every door of earning money during this period is open for the native. A native will get full support from spouse and other family members. If your body allows then learn to do 'Surya Namaskar' from a learned Yoga teacher and perform this yogic exercise everyday. Donate books or stationeries to an educational institution that provides education to underprivileged children or simply to some child who needs those. Rahu will be transiting to the 10th house. The native will see significant expansion in his/her respect in the society. People who are into politics or any other public domain will rise during this period. Those who doing a job are likely to get promoted and will receive the complete support of their superiors. People who are running an industrial enterprise, will see their business booming during this time. The native will be have very good relations with his/her in-laws during this period. State of finances will be sound during this period, however one must be beware of enemies. This period will also bring an increase in enemies of the native. Donate towels and bed sheets to the needy. Donate some utensils to a temple that needs them or simply donate a glass, spoon and a bowl to a needy person. Rahu will be transiting to the 9th house. The native during this period is likely to drift away from spirituality. Health of one's father might deteriorate during this time, hence one should take special care of his/her father. Students who are going for or going through higher studies in their educational life must remain focussed and work hard with utmost sincerity. Professionals in the fields of medicine and electronics will see a spurt in their career. This period might bring a change in residence but will eventually prove to be beneficial in the times to come. One can also think of investing in the real estate, however, one should be careful while taking an advice from others and they should act on the advice of only those who they trust. Feed fresh green grass to a Cow, either everyday (if possible) or on Thursdays. As per the weather, donate blankets or sleeping mats to the needy. Rahu will be transiting to the 8th house. One must take care of his/her health during this period as this is period warrants extra attention on the health front. Rahu in the 8th house increases the risk of accidents while driving, therefore one must make conscious efforts to make his/her travels safe. If someone is having disputes in the matters of inheritance of property, then this period will get you fair share of inheritance. The native is likely to get ample moral or materialistic support from his/her inlaws. Chances of theft are high during this time so, keep your valuables safe. Donate money or some useful articles to a place where they take care of mentally challenged people. Observe a fast on Fridays. Rahu will be transiting to the 7th house. People who are married are expected to experience turbulence in their married lives and frequent disagreements with the spouse might lead to bitterness in relationship and loss of harmony in marriage. People in business must be careful of the deals that they make. Businesses in partnership may get impacted negatively. People having kidney disorders should take extra care as far as their dietary lifestyle is concerned. Donate food and clothes to monks. Buy Ketu Pendant: a powerful charm to create an aura of protection against all evil. Rahu will be transiting to the 6th house. This will bring good results to the you. People who are aspiring for a job will successfully get a decent job and people who are already doing a job can very well be rewarded with a promotion. The native will defeat enemies and emerge victorious in legal battle that has been bothering him/her. Chances of a rise in personality are signified during this period. Relief from a long illness is also on cards. Donate money or food to spiritual centres or places of worship. Feed monks and offer them clothes that they require. Rahu will be transiting to the 5th house. The native will face problems from his/her children and will have to keep an eye on them to make sure that remain on the right path. The native will be drawn towards speculation, however, he/she is suggested to stay away from that. This is not a good time for making fresh investments. Pregnant women should take extra care of themselves during this period. Donate pulses and rice to needy people. Rahu will be transiting to the 4th house. Here, Rahu will create an unwanted shake up in the domestic balance of the native. Meaning, things at home will see some swings as far as domestic bliss is concerned. One should take good care of his/her mother as her health might see some negative impact during this period. Rahu in the 4th house in this Moon Sign, will make the native stay away from home frequently on account of job or business and this might create an unpleasant emotional distance between the native and his/her family. One should control the temptation of acquiring a luxury vehicle during this time. One should also take special care of his/her heart during this time and keep doing light exercises. Donate food and clothes to underprivileged children. So, those were the predictions for the results of Rahu's transit during 2019-20 for all 12 Moon Signs. 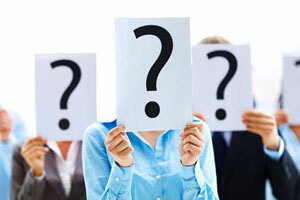 However keep in mind that these were in-general predictions and for every individual and there can be so many other planetary factors and astrological permutations & combinations involved that require a through & comprehensive analysis of the individual's own natal chart/horoscope along with the situation of the ongoing transitory movements of various other planets. 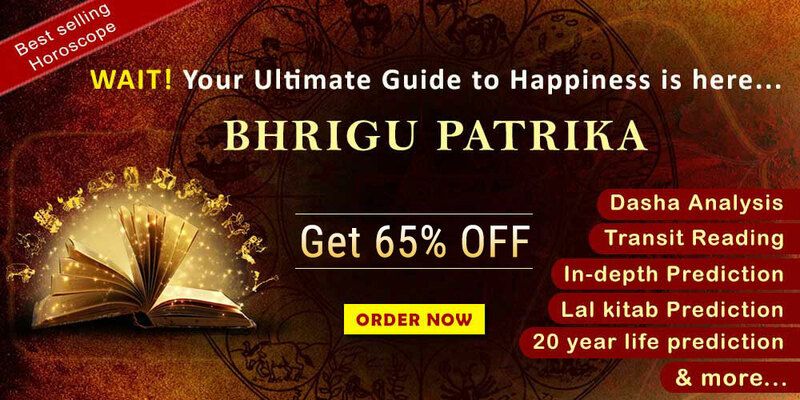 Since Rahu is a planet with an extremely strong and unpredictable influence, we urge you to consult with Future Point for an in-depth horoscope analysis by our highly experienced astrologers who would decode the exact impact of this transit upon you and suggest you incredibly powerful remedies to ensure a safe and prosperous transit of Rahu in 2019-20.